TemperPack was founded in 2015 as a partnership between two friends from Maryland and a third colleague from school, the company was born out of a desire to reduce the amount of unsustainable packaging that correlated with the growing world of e-commerce delivery. Currently, TemperPack operates two facilities in Virginia and Nevada and is rapidly expanding its reach in the perishable and cold chain shipping market, all with the goal of reducing the amount of packaging that ends up in landfills. 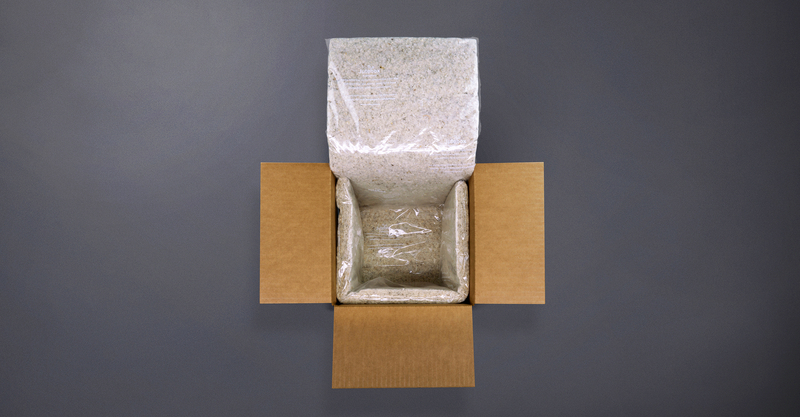 The company's main product ClimaCell™, which performs as well as EPS foam, and is certified curbside recyclable. There are a lot of recyclable materials out there. Unfortunately, most of them end up in waste streams that don’t get reused. Only 9% of all plastic is ever recycled. Furthermore, scientists estimate that by 2050, there will be more plastic than fish in Earth’s oceans. Therefore, TemperPack designed ClimaCell to be repulpable alongside cardboard, a product that is recycled 93% of the time. The company's team has worked with third-party consultants to ensure that ClimaCell is OCC-E certified curbside recyclable and that it passes Materials Recovery Facilities tests to be reclaimed alongside cardboard. Conversely, 93% of corrugated material is recycled and can be reused to make more paper products up to 7 times, making it the most reusable consumer-based material in the world. TemperPack’s patented plant-based insulator, ClimaCell, is made from rapidly renewable plant-based components. With excellent thermal performance and a competitive cost structure, it is the ideal replacement for EPS foam. The company has utilized ClimaCell to develop a series of ready-engineered solutions for the food and life sciences industries. Inch per inch, ClimaCell performs as well as expanded polystyrene (EPS) and denim fibre insulation. The company's unique manufacturing process also allows them to vary the thickness of ClimaCell based on seasonal performance needs. TemperPack engineers worked with the client’s team to develop a one-piece insulated liner design comprised of recycled cotton and 100% recycled film that provided protection from potential condensation, quickly integrated into the wholesaler’s existing distribution site, and saved the client space in shipping and warehousing. Additionally, the thermal performance exceeded that of the 1.5” EPS foam cooler they were previously using. In addition, TemperPack has already raised a total of $32.5 million in funding over 2 rounds. Their latest funding was raised on Jan 10, 2019, in a Series B round, led by billionaire Steve Case's Revolution Growth, bringing $22.5 million.